The piece of weaving behind the book looks a lot like weaving done in Bolivia.Has any connection been made? That’s interesting! My knowledge is limited but maybe someone who reads this might have an answer. The textile shown in the photo is definitely from Bhutan. I just don’t know enough to make the connection with Bolivian textiles. 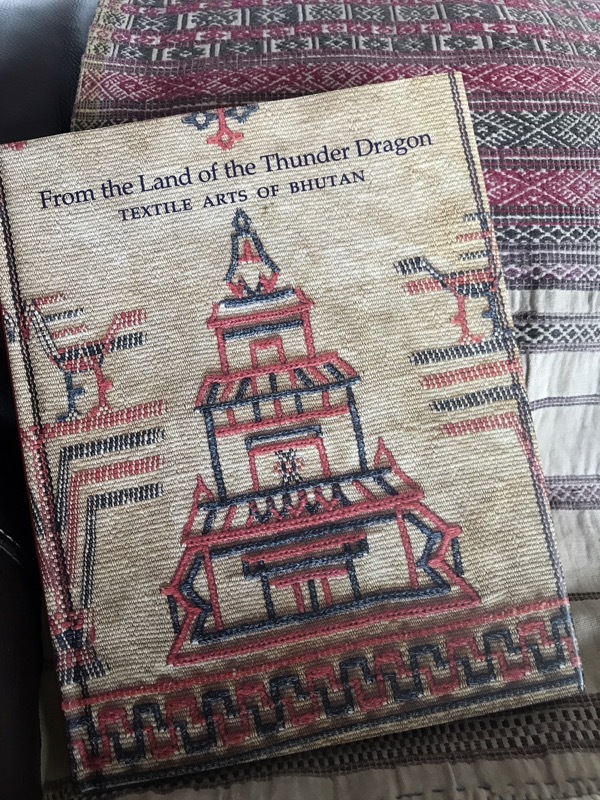 This entry was posted on August 24, 2018 by wovensouls in ANTIQUE TEXTILE NEWS and tagged antique textiles, Bhutan, Bhutanese, book, ethnic, lifestyle, textile art, Textile arts, weaving.